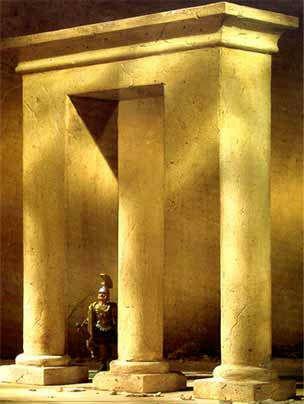 This Roman soldier looks a bit perplexed and its no surprise, how many columns are there exactly ? A man and a woman sit at a table with a number of drinks and a bottle of champagne on ice at hand. 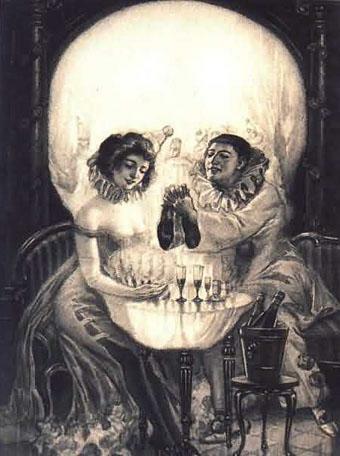 But there's something more to this picture than meets the eye, see if you can see what alternative image is hidden here. In this 19th century painting by Charles Allan Gilbert a woman sits at her dressing table. Nothing unusual about that you might ask ? 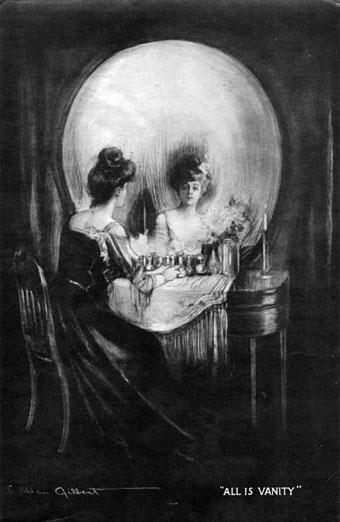 Take a closer look at the picture as a whole, in particular the combination of the mirror, the perfume bottles and the woman's reflection. There's a second image here that isn't quite so obvious. 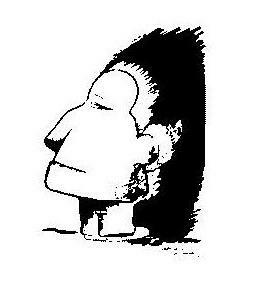 What is this a picture of, are we looking at a native American face looking off to the left or are we looking at the back of an eskimo in furs walking in the direction of the wind towards the right ? 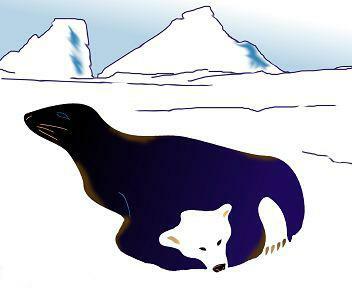 Another well known double meaning illusion, this image shows an animal basking on the frozen wastes but what type of animal is it ? Is it a polar bear or is it a seal ? Or is it both ?